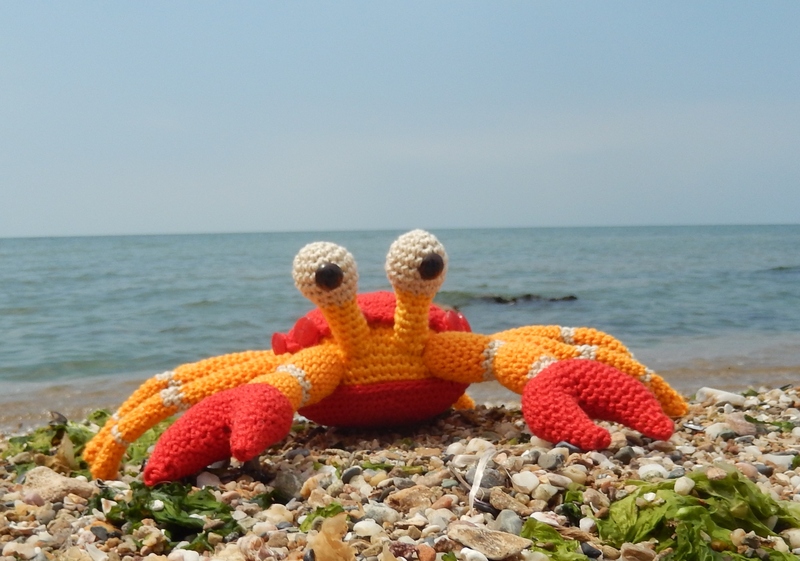 I am so happy with this story from Marianne Efinger, a children’s book author, which she wrote for my blog and all amigurumi fans. The story is about a crab which is quite unhappy about her shell and an octopus, who wishes to help her. Marianne Efinger was born in southern Germany and now she lives in Brittany. In 2010 her first novel, “Lisa and the Brombeerprinzessin” was published and there are even further books from the Lisa series. 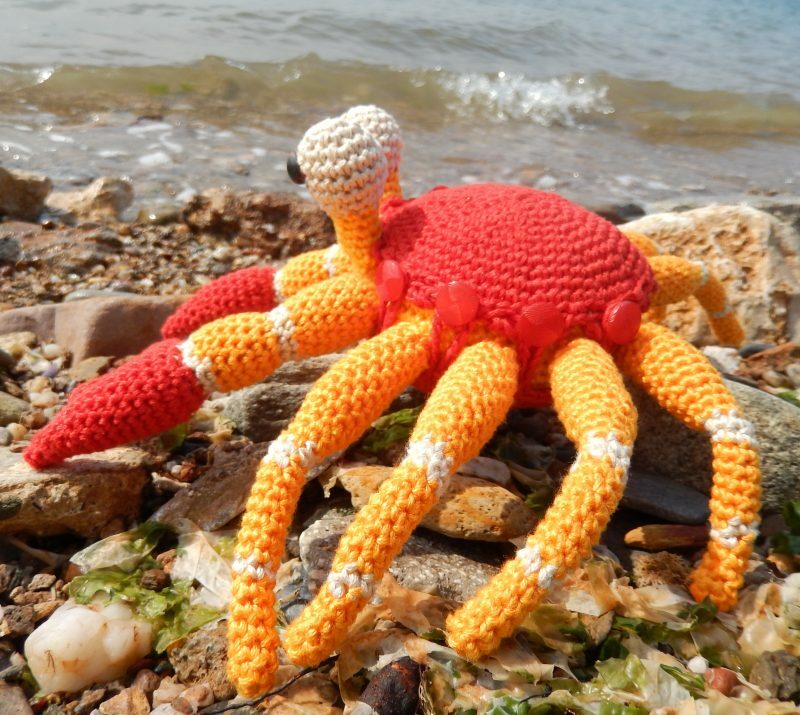 Out in the sea, not far from the coast, lived a little crab. Her name was Karoline, just like most crabs are called. Every so often she had to get a new, larger shell because she’d grown out of the old one, a bit like you with your shoes. The difference is that it takes a lot more strength to take off a crab shell than a shoe that’s too small. So she had to eat a lot to get her strength up for the move. She ate everything that came her way – floating particles, mollusks and in fact anything she could get her claws on, even if she didn’t know what it was. But her favorite was seaweed and mussels. Karoline got bored having to spend so much time eating. She loved nothing better than to rock in the waves, swim round the coral reef or go for a walk along the beautiful white sand palm fringed beach. It would all have been much better if she could get rid of her shell. She couldn’t understand why she had to drag around such a cumbersome thing, it was so awkward and heavy. She always felt most comfortable when she had just shrugged off the old shell and hadn’t hardened up yet. One day, when her shell was irritating her more than usual, she decided that something had to be done about it. At that very moment her friend Paul was passing. Paul was an octopus (most octopuses are called Paul, by the way). Karoline was left speechless as she watched Paul slide weightlessly through the water. She had never seen anything so beautiful in her life before as his eight arms gracefully swayed this way and that. And then he did a double back-somersault. Karoline lost her coloration and went green with envy. If she had tried to do that she would have ended up on her back waving her legs helplessly. Then she saw that Paul didn’t have a troublesome shell. Obviously he’d managed to get rid of it somehow. Instead, he had a diving mask which he had stolen from a diver, and a captain’s hat with a gold star that he’d found in a shipwreck. How the story continues and how Paul looks like, you will find out in my next post. Until then, I wish you a lot of patience and a lot of fun with crocheting Karoline. Thank you Karin for this great post. Super cute!! 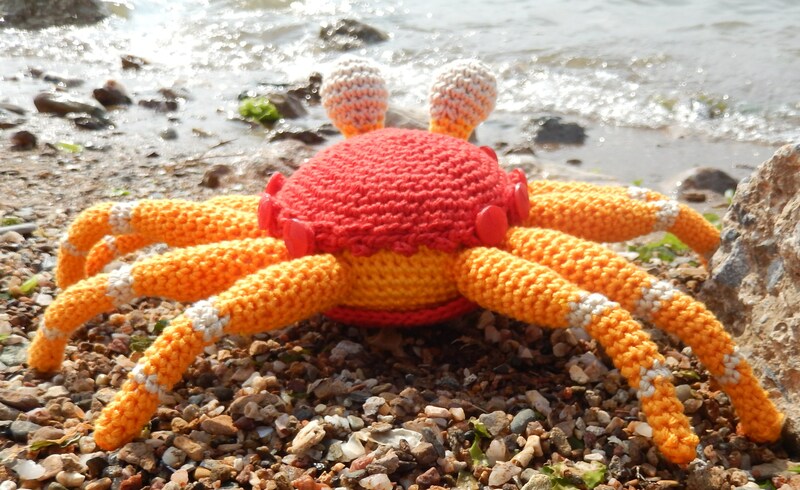 Love your crab ? All that is soooooooooooooooo great! Thank you! It’s already a pleasure to look at your fotos and your downloads are also very, very good and helpful in step-by-step descriptions with pictures, especially for those who aren’t very experienced in making crochets. A big hug for you!!! It’s the best I’ve ever seen!!! Wow, I’m so thankful for your words. I put all my love and knowledge into the patterns and I’m so so happy to receive such a nice comment from you. Thank you from deep down of my heart and I wish you a lot of fun with crocheting. If you ever need help or do not understand something (English is not my native language), just write a note, I will help you as quick as I can. Have a nice day! Wonderfull story. 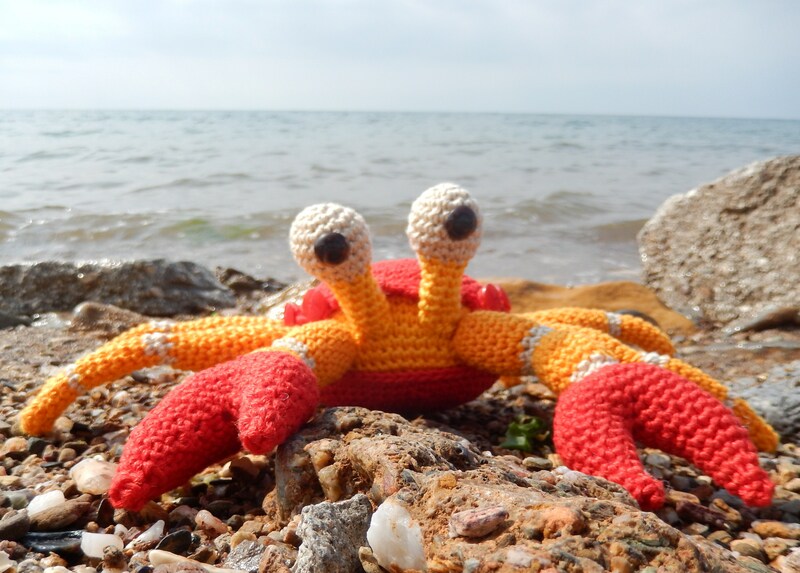 Thanks for sharing the crab coconut pattern to make the story alive.